One has to visit Baba Harbhajan Singh Memorial Temple. The famous ex-army man….well, let’s just leave out the ex. Legend has it that he is still alive. 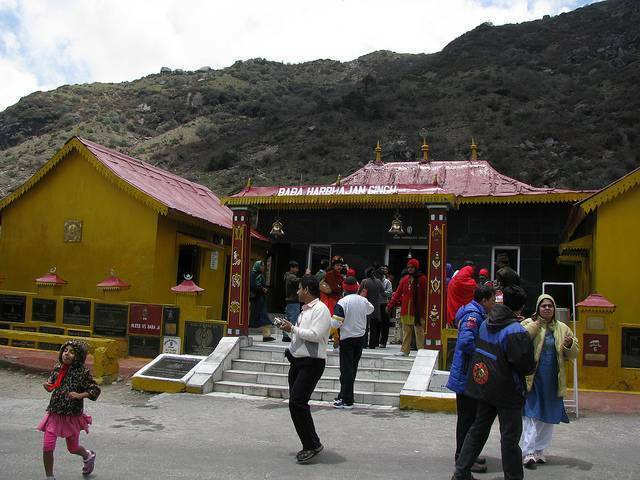 Stories of Baba Harbhajan’s uncanny presence are extremely popular anecdotes among the army men stationed in Sikkim. The temple was built in memorium of this soldier who died in a bridge accident and happened to show up in the dream of a fellow comrade. It is said to be a a wish-fulfilling site. Hundreds of people come here to make wishes. You’ll see numerous bottles of holy water arranged in rows here. The temple is extremely interesting. I would suggest that you see for yourself if the wishes come true or not.